The fiscal cliff is looming. While I'm overtly political in my personal life, I tend to leave that out of the blog, that's not why people come here. If you want that, we can be friends on Facebook. The fiscal cliff though, in it's being is not necessarily a political topic unless you start to assess blame for it's existence and the chance of us driving off of it. What it is, in case you don't have time for that wikipedia link is a combination of tax hikes and spending cuts that would attempt to quickly reduce the budget deficit. Why it's sorta "cliffy" is that while that sounds okay in principle, it fails to take into account the current economic realities, where a particular combination of tax hikes and spending cuts in a down economy can have dire consequences. The most interesting thing about cliffs is that without going right up to them and looking over the edge, you don't really get to take in their grandeur. The idea of a cliff, the earth ending abruptly and then plummeting precipitously down to the ocean, or a river or what have you is exhilarating to behold, but not from a distance. So for example I've been to the Cliffs of Moher on the coast of Ireland. Absolutely stunning. It's a beautiful place to look from the edge of Ireland into the Atlantic. It's easy to imagine that in simpler times, we're talking long ago that the inhabitants could have simply thought it was the end of the Earth. Also, it's terribly windy. .
Where cliffs are unimpressive is from a distance. If you were to tell someone, "hey, there's a cliff up ahead, it's beautiful." They wouldn't necessarily believe you, or grasp the full reality of it. A cliff is a dramatic viewpoint is that abrupt visual change, the horizon drops and the sky opens up. It's a beautiful and terrible thing all at once, particularly if you're prone to cliffs like one Wile E. Coyote. Here's hoping that while we may take in the view on this one, that's as far as we go. Today's Friday Find is a Friday Fudge. That means that it's a buck or two north of our $20 limit. 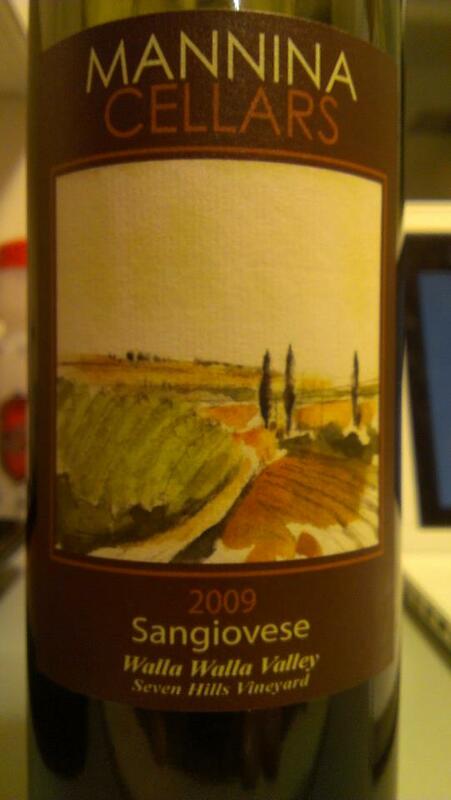 The Mannina Cellars 2009 Sangiovese from Seven Hills Vineyard. Sangiovese, here in Washington, is typically thought of as a great food wine, and one that can serve as an entry point for red wines for those who claim that New World reds are simply to dense and concentrated for them. It's typically a wine that highlights bright red fruits and lighter spice notes. This wine however is a horse of a different color and I credit the vineyard site for that. Dark hued and earthen this is certainly a Sangiovese and a great food option but it will give you a glimpse of the kinds of range the grape is capable of, and a bit of a hint of why the wines of Tuscany, which are nearly all 100% Sangiovese can show such great range. It's $22, wonderful for the price and you can find it at Wine World, and well stocked wine shops throughout Western Washington. 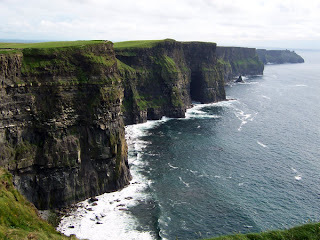 Posted in: Cliffs of Moher,Mannina Cellars,Mannina Cellars Sangiovese,Washington wine,what is the fiscal cliff?